Southampton is to play Liverpool in the second semi-final of the EFL Cup, and we have the first leg between Southampton and Liverpool at the St. Mary’s Stadium. Both teams play in the Premier League and would be looking forward to winning this game to have an advantage in the second leg. Southampton has dropped to 10th position on the table with 24 points from 20 matches, four points below Bournemouth and above on goal difference from Stoke City. Liverpool is second on the table with 44 points from 20 games, five points below the league leaders Chelsea and two points above Tottenham. 12th January 2017 at 01:30 (IST). Southampton has dropped down to 10th on the table as they have won just six games out of the 20 games they have played, scoring 19 goals and conceding 25 goals in total. Their form has been bad in the last five games as they have drawn one and lost four games, winning none. They last played against Everton at the Goodison Park and lost the game by 3-0. Enner Valencia, Baines, and Lukaku scored for Everton. They played against Norwich City in the FA Cup third round at the Carrow Road and was able to draw the game by 2-2. Steven Naismith scored a 92nd-minute equalizer to help Norwich City stay in the tournament and to force Southampton to play again. Liverpool has been in great form in the league, but they have dropped points to Sunderland in their previous game as it ended in a draw. The game was played at the Stadium of light and ended at 2-2. Jermain Defoe scored both goals for Sunderland through penalties. They recently played against Plymouth in the FA Cup third round at home and again only managed a draw and will play them again. Both teams have played 80 times against each other; Liverpool won 39 times, and Southampton won 21 times. 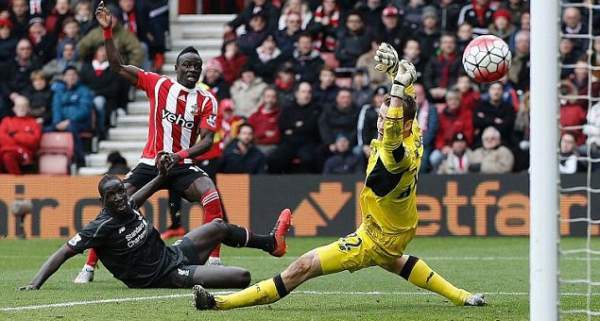 They drew in their league fixture played at St. Mary’s Stadium. Liverpool won by 1-6 when these two teams met last time in the league cup at St. Mary’s Stadium. Lewis, Yoshida, Stephens, van Dijk, Bertrand, Prowse, Hojberg, Reed, Sims, Long, Tadic. Mignolet, Milner, Clyne, Lovren, Klavan, Wijnaldum, Lallana, Can, Sturridge, Mane, Firmino. Southampton will try their best to win, but Liverpool’s form is superb right now.